Ulanen Regt. Nr.15 set so frosty it will hurt your eyes. 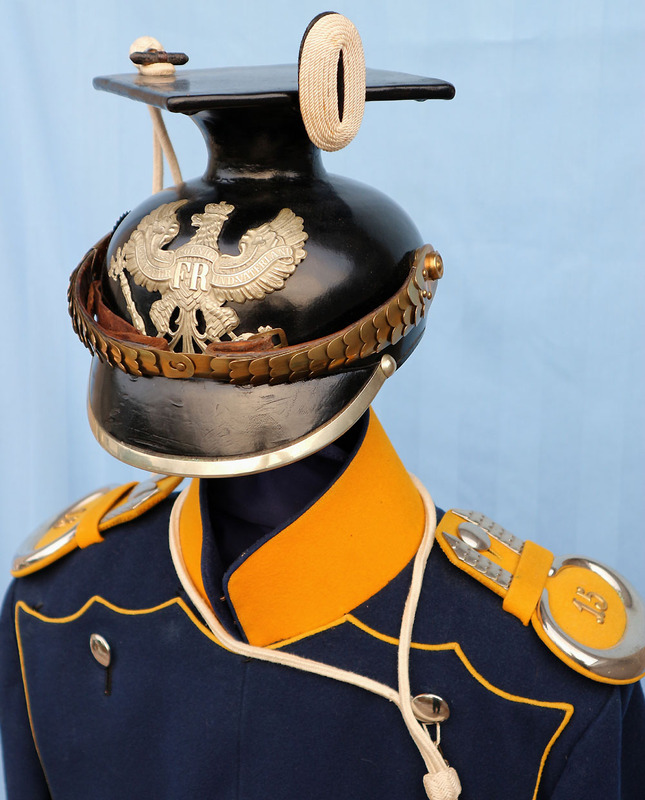 For those that find Ulanen Tschapka a confusing form of headgear, some research into why the Prussians (and many other countries) adopted a Polish Lancer pattern helmet after the Napoleonic wars is worth the effort. Or, wait until PeterS writes an article . At any rate, I have a dozen Tschapka and they are fascinating. Even more so with the matching Ulanka which is what I am showing here today. This Ulanen-Regt. 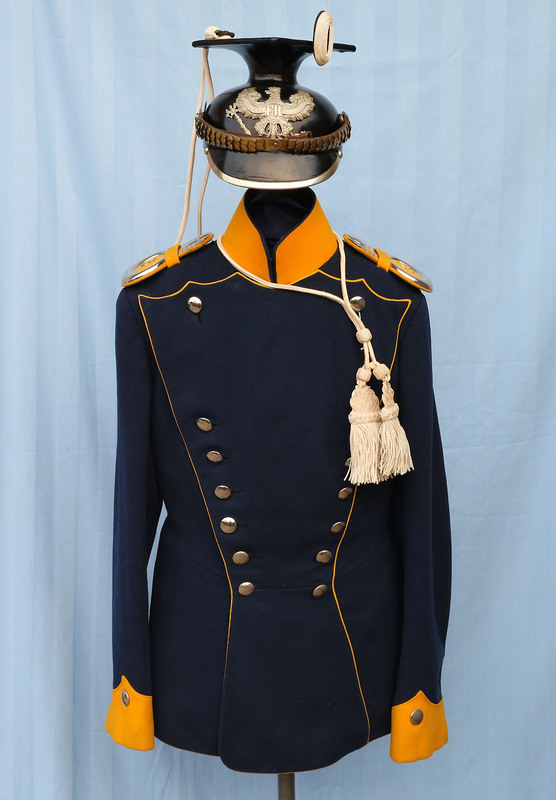 Nr.15 ensemble from Schleswig-Holsteinisches Ulanen-Regt. Nr.15, garrisoned in Saarburg and part of the XXI Armee Korps, is absolutely breathtaking. The Ulanka has dark, deep rich colours and is in FNM condition; so much that it hurts the eyes to look at it. It is coupled with one of the most superb issued Tschapka I have ever seen, and BA stamped of course to 3E UR15. You could shave looking at the lacquer it is so mirror-perfect. The link to the Ulanka is at the bottom of that page. Although the late Tschapka is not my favorite. It may depends that I have no military background and my interest is more drived by the 19th century, not only the military intensions. What a beautiful ensemble.. So special to find something like this in such an as new condition. Thank you all for the kind remarks. I've had eight standing Ulanen torsos with matching Tschapka and Ulanka, and this is the one that stood out the most. It literally "pops" when you look at it the colours are so bright and rich. And of course the condition of the Tschapka is jaw-dropping. As mentioned before I've had this set for many years, but I have finally gotten around to taking acceptable photos and uploading them to Kaiser's Bunker. That will be hard to improve I guess! Congrats Tony! Oh la la! Tony, this Tschapka should be in the Guinness book of records. The 02 under the UR15 stamp Philippe? That would explain that! I'll add that to the text. Beautiful - but your killing me - I now miss my UR11 set even more. Get the Front Door Tony!!!! Absolutely stunning! Looks like you just raided the depot and got a brand new uniform and Tschapka!